Digital Extremes has unveiled a new Prime Warframe headed to, well, Warframe, early next week. The latest Frame to receive the Prime treatment is Equinox, whose pimped-out new version will start rolling out from April 2. As you might expect, Equinox Prime will have more armour, health, and energy capacity than Equinox herself. Surprisingly, however, despite the frame’s usual complexity, the Prime version will reportedly be easier to craft, requiring only four parts, rather than the eight components required to build the more basic model. Digital Extreme’s announcement of Equinox Prime reveals that the frame will maintain its balance between its night and day forms, and will come with two newly empowered weapons. Stradavar Prime will let you “call down a devastating finale,” while Tipedo Prime will offer an approach with just a little more finesse, letting you “sever your foes with this lithe and lethal staff.” There’ll also be prime accessories, granting Isabeau Prime Syandana and Navarr Prime Armor, as well as 90 day credit and affinity boosters. You can earn blueprints to craft all three new arrivals through in-game relics, but it might be a good idea to start saving up ahead of time. 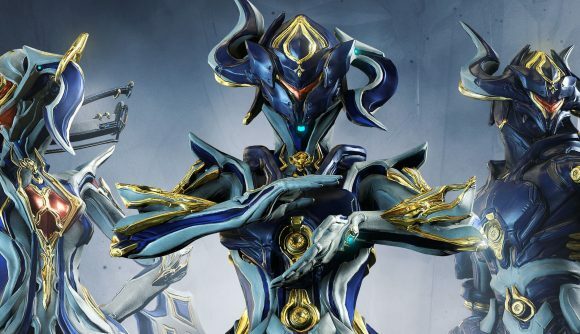 Equinox Prime access begins on April 2 in America, but players in Europe and Asia will need to wait until April 3 to get their hands on the new frame. Read more: Could Warframe help BioWare fix Anthem? It’s been a busy month for Digital Extremes, as Warframe recently reached a major milestone in the form of 50 million registered players. That’s not all though, as new frame Hildryn also made her way to the game in recent weeks, giving you plenty to do even if you’re not a fan of Equinox.